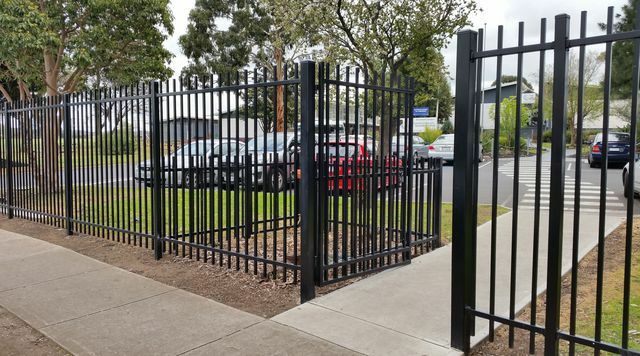 Schools all around Melbourne are now opting to replace existing chain mesh fencing with the stronger and more robust tubular steel fencing and gates. 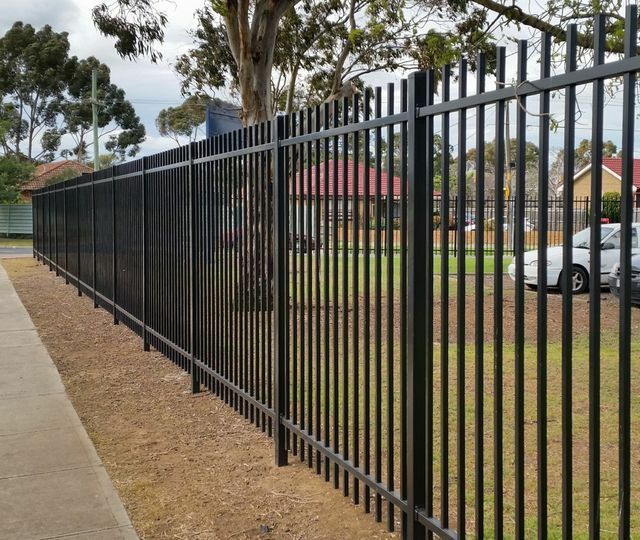 But not all tubular fence designs are the same and we have seen a lot Schools use panels which are not designed to withstand the punishment School Fencing receives. We highly recommend the through rail design to Schools. Through Rail design, is a concept where the panels are strengthened by passing the vertical uprights or pickets through the top and bottom horizontal rails of the panel. By the pickets passing through the rail, the pickets are securely held in place inside the rails (as shown in the picture to the left). Pickets secured to the face of the rail with welds instead of passing through the rails, are inferior in strength. Another design element we highly recommend to schools is square shaped pickets or uprights. The square tubing uprights are much harder to bend than round tubing uprights or pickets. 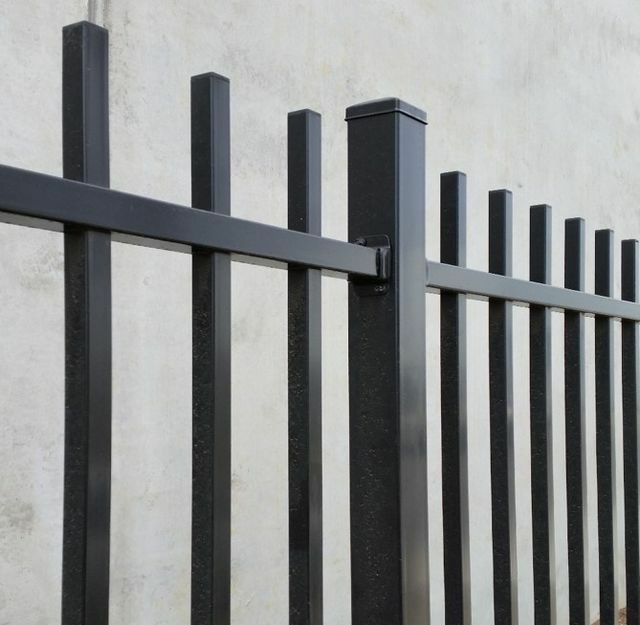 The strength of your School fence is very important, but so are the aesthetics. 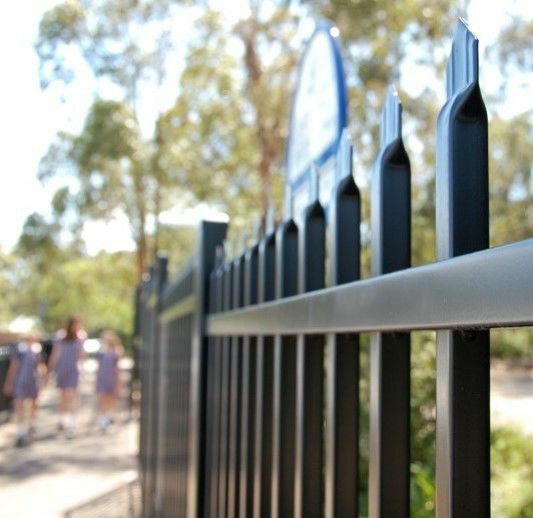 We understand the importance a correctly installed fence can make to the appearance of your School (and to the reputation of our business). Adequate time is allowed to ensure the line and level of the fence is straight. If installed correctly, the tops of the panels will flow evenly across the line of the fence. If the ground is undulating, provisions can be made to minimize the gaps under panels, i.e. by gradually stepping the fence line or installation of a bottom plinth. 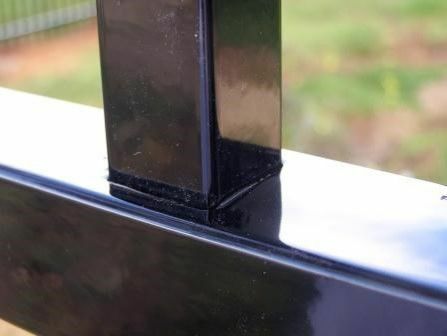 To ensure your fence and gates do not move overtime, we fix extra screws to the insides of the panels. Soil from the post holes is swept off the path and any concrete or rock from excavations is removed, without extra costs to your School. We’re owner operators, big enough to handle large jobs but small enough to provide personalized service. Paul and Shaun are joint owners of the business. The whole process from quoting the job to completing the job is handled by both of us. Therefore we’re onsite all the time to answer any questions you may have or make any modifications you may require. We highly value School work and have worked closely with a number of School Principles who are happy to provide references verifying the standard of our work, upon request. If you’re thinking of installing a new fence, please call on the number below for advise or to arrange a free onsite consultation. We’re happy to provide your School with a number of different options to help you make the best decision. Contact Paul or Shaun to arrange for an on site visit and a quotation.